Flow Rate 250 LPH to 50,000 LPH. 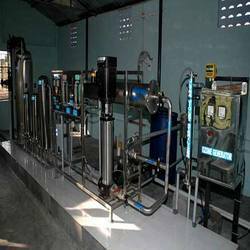 We are leading manufacturer and suppliers of Reverse Osmosis Plant and our product is made up of good quality. 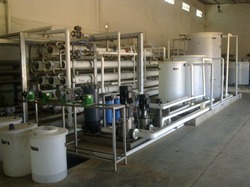 Compact in design, these Desalination plants are based on a process of Reverse Osmosis Technology. The plant has necessary Pre Treatment systems. Scale removal for pipelines, water heater, chiller, A/C plant. Residential, commercial and industrial purpose. 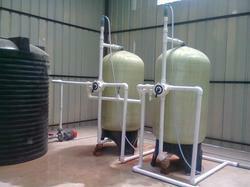 We are the leading Manufacturer of Demineralisation Plant and our product is made of good quality. Demineralisation Plant products consist of Vessel Filed with a bed of dm media supported on a bed of caution resin & anion resin. 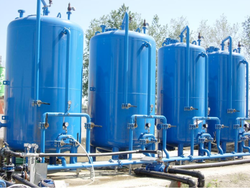 Demineralisation by ion exchange technology is one of the most conventional, preferred and widely used water purification methods in industrial sectors. Demineralisation Plant is used to dematerializing (Reduce the total conductivity) in the water making it fit for use in process industries and various other applications. The vessel is provided with frontal piping. Top mounting and valves to control the operation of the unit. Hospitals, Laboratories, and battery water operation. Mineral water and soft drink bottling plants. Ultra pure water for pharmaceuticals, electronic, food and beverage industries. 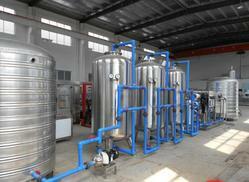 Process water for chemical, textile, breweries and engineering industries. Clear aqua, designs and manufactures specialized water treatment plant for dialysis applications for hospitals and orphanages. 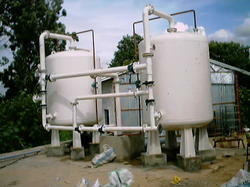 We are leading manufacturer and supplier of Filtration Plant and our product is made up of good quality. The superior construction values of these plants allow them to achieve high. For use in hotels, and other types of institutions. And others needing a supply of treated water, in brackish water areas. We are the leading Manufacturer of Iron Removal Plant and our product is made of good quality. Designed in conformation with the leading industry standards, these plants assist in the easy eradication of dissolved iron from the water. The soluble form of iron as ferrous iron is dissolved in water and if consumed along with water, it can have an adverse effect on a person’s health. We are leading manufacturer of Iron Removal Plant and our product is made up of good quality. Iron Removal Plant offered is designed and developed using latest technology support and successfully caters to the requirements of commercial establishments. These high-performance plants provide for efficient support in removing of iron particles from water and come designed in conformation with defined industry standards. Some of its features include providing support for easy removal of dissolved iron from water, provides for continuous operations, requiring minimum maintenance support, suitable for use in the treatment of daily drinking water. As well as for achieving high water. We are leading manufacturer and suppliers of R.O. Plant and our product are made up of good quality. In companies where ground water is not fit for drinking or for production. 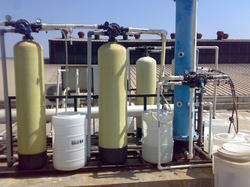 We are leading manufacturer of Seawater Desalination Plant and our product is made up of good quality. 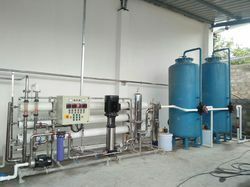 These systems are specially designed for use in companies, where ground water is not fit for drinking or for production. Our seawater reverse membranes assist in converting the high saline water to low saline and drinking water. 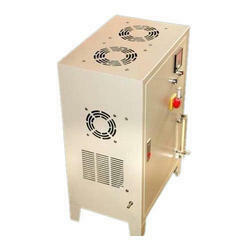 We are leading manufacturer of Ozone Generators and our product is made up of good quality. To produce high purity ozone, we make use of ozone technology, which uses corona discharge principles. As compared to chlorine, ozone is the most environmentally friendly treatment that leaves no trace of toxicity in water. It helps to kill viruses.